Komodo Maths. Learn & Practice Mathematics Online. Ages 5-11. 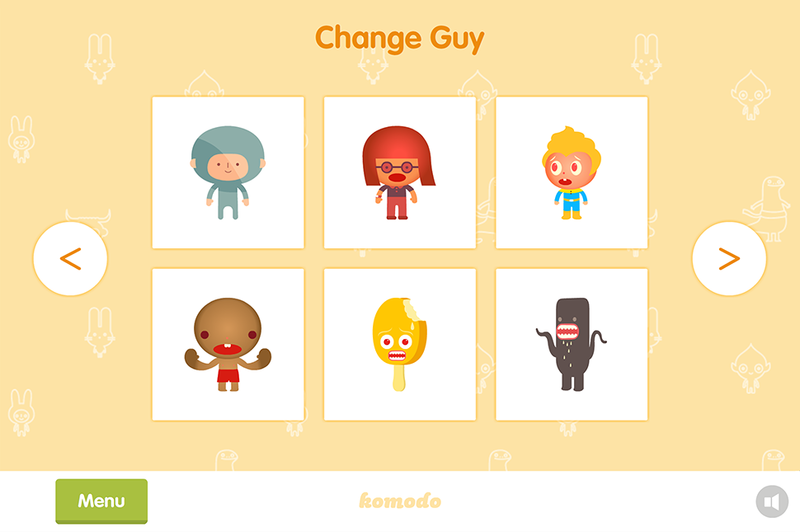 See your child&apos;s skills and confidence grow with Komodo. 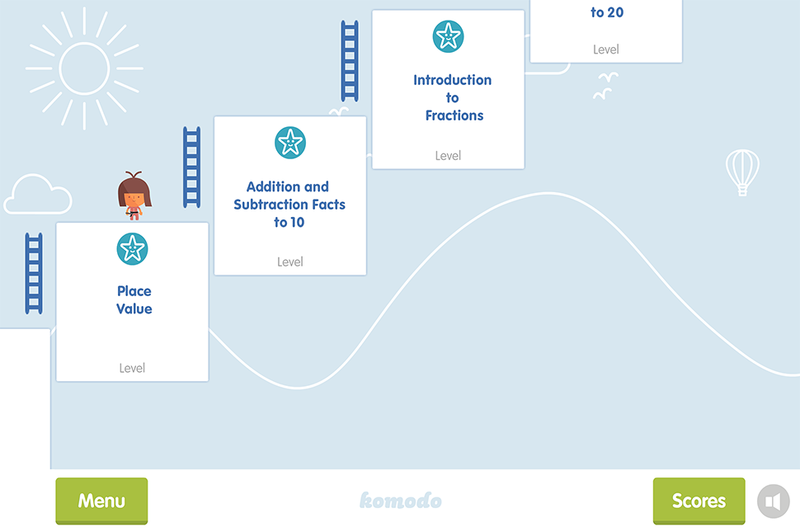 Designed by teachers for families, Komodo builds a solid foundation in maths for children aged 5 to 11. It works on all devices and doesn’t keep kids at the screen for long periods. Personalised by maths teachers to meet each child&apos;s needs. 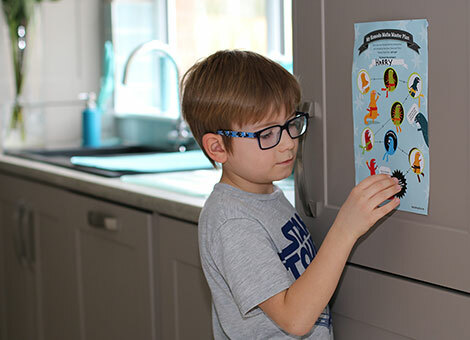 This great resource complements classroom learning with an interactive, user-friendly interface for both parents and children to use at home. Most importantly, it presents mathematical concepts clearly, in an engaging manner with many opportunities for practice." Designed by teachers to complement school maths. Tailored to your child’s needs, for the struggling, the able and everyone in between. Sign up then use Komodo on all your devices at no extra cost. Sign up and download the app for your device(s). Log in and set up your learners. Tell us about your child and have them sit a short and friendly diagnostic maths assessment. 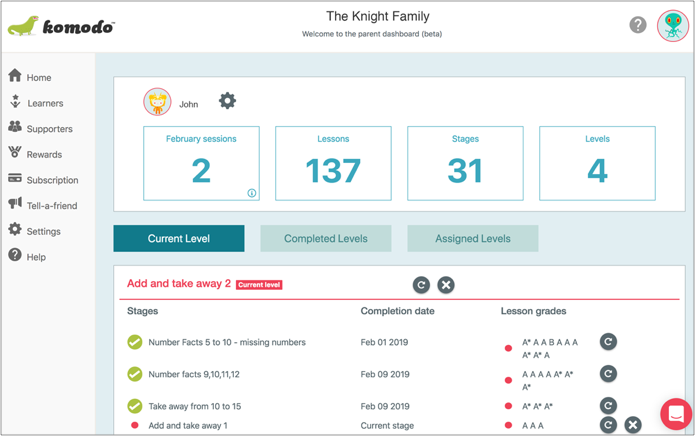 A maths teacher reviews the information and assigns a personalised learning plan for your child. We recommend 3 to 5 short fifteen minute lessons per week. We base the learning plan on your child’s individual needs. Tell us your child&apos;s problems with maths, we&apos;ll tailor the solution. From less than £2 per week. No payments taken for 14 days. No contract. Cancel anytime. 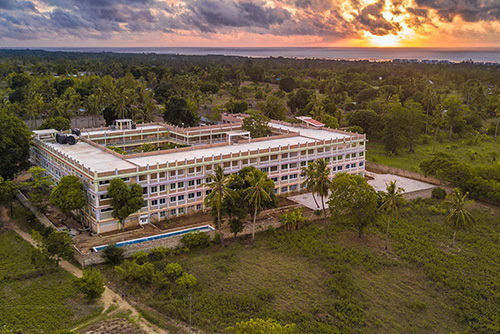 I would like to congratulate the team at Komodo Learning; its constant determination to achieve excellence in design, delivery and support that helps to ensure the outcomes for families across the world are the very best. 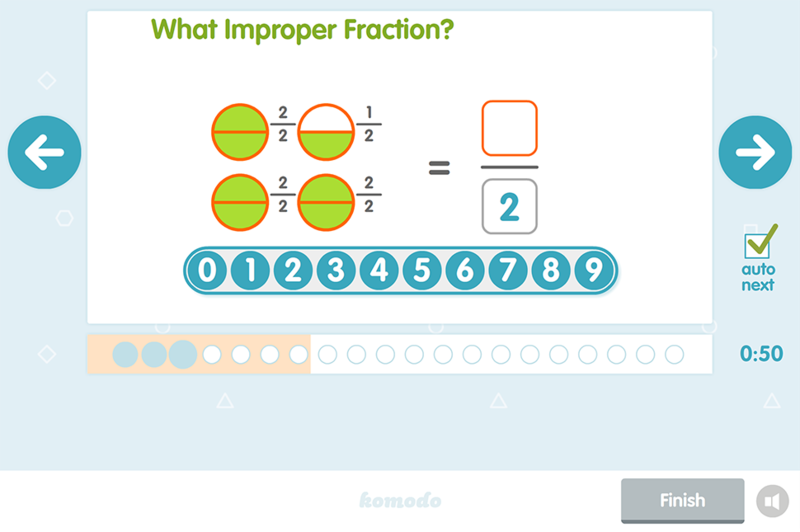 Expertly designed interactive maths practice and animated videos. Motivation built-in to keep learners on track. Incredibly user-friendly and motivating tool, particularly for children who seem to have decided early on that they were "rubbish at maths". 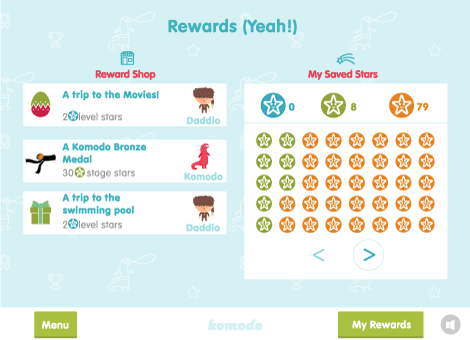 My children fight over the iPad for Komodo and love to watch their progress chart, to collect rewards, to send me a self-congratulatory email. The correction system encourages children to get out of their comfort zone and really teaches them to learn from their mistakes." Proven gains with “little and often” use. 94% of learners see measurable progress after 6 months regular use - with an average increase in maths fluency of 66%. 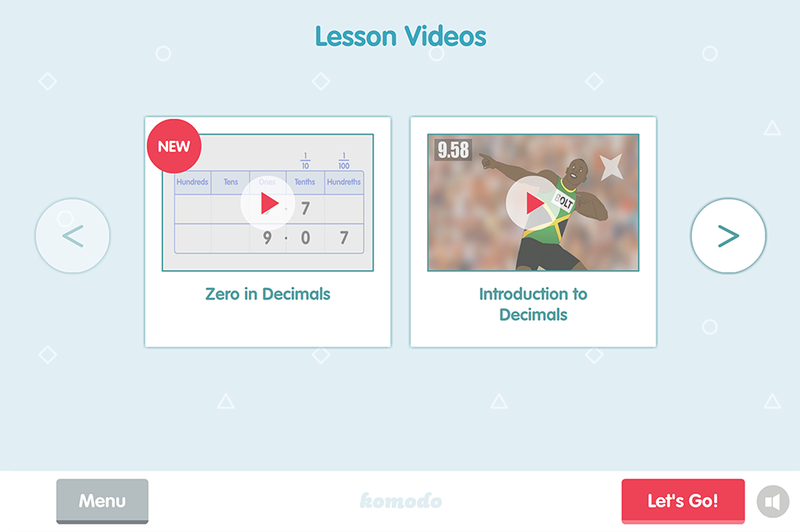 We analysed over 4,000 of our learners’ skill areas and found that their maths fluency and accuracy improved significantly after six months of using Komodo regularly. No contracts. No payments taken during the 14 day trial. Cancel anytime. Parental support is vital for learning. We make it easy and rewarding to get involved. Sometimes a good old fashioned sticker is the best motivator. A complimentary reward chart and belt sticker set will be posted to your home. 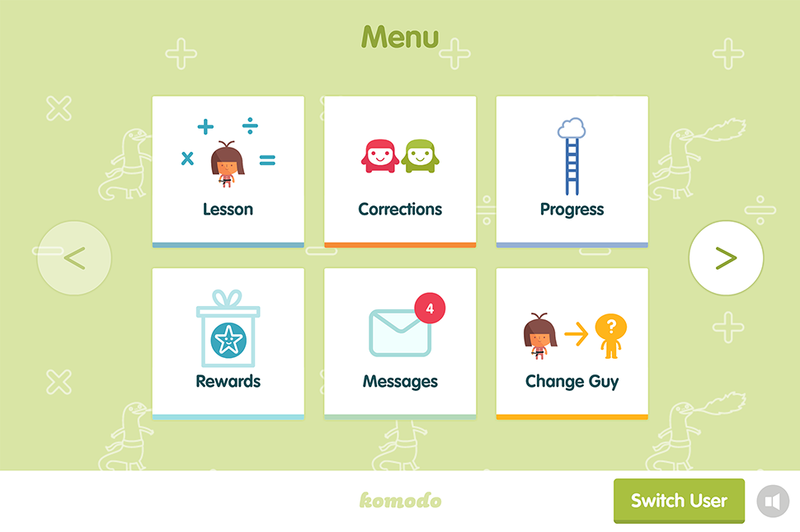 Komodo is designed to be effective without requiring long periods at the screen - making learning maths feel easier for kids. Maths is different to most school subjects because you learn it through doing it - through practice. Practice embeds maths skills deep into memory so they become second nature. The result is fast, accurate maths or "maths fluency" which according to academic research is the best early foundation for future success in the subject. A three minute animated journey into the cognitive science of learning mathematics. My three boys have all benefited enormously by using it to practise their number skills and learn new topics in maths. It has reflected in their work at school with their teachers moving them up in their ability sets in the classroom." 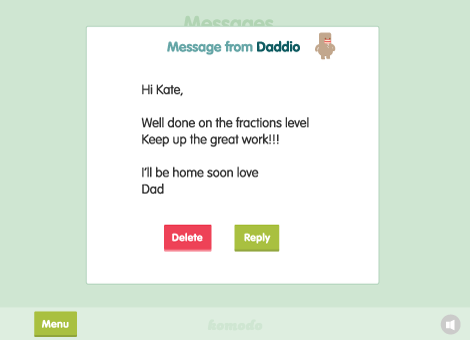 Effective - Komodo develops fluency in maths, a recognised foundation for success. Your child’s learning plan is assigned by a qualified maths teacher. Doesn’t keep kids at the screen. Requires just 15 minutes, 3 to 5 times per week. Motivation is built-in. We make it easy for you to encourage and support. Use it on all your devices at no extra cost. Develops concentration and a great attitude to learning. Komodo is great - easy to use, lively and fun. Both our children are avid users, and their maths has come along in leaps and bounds." Start building good learning habits that last a lifetime. It’s not just about maths skills. Komodo also develops concentration, self-belief and self-discipline - three important qualities that last a lifetime. See how Komodo can help your child. 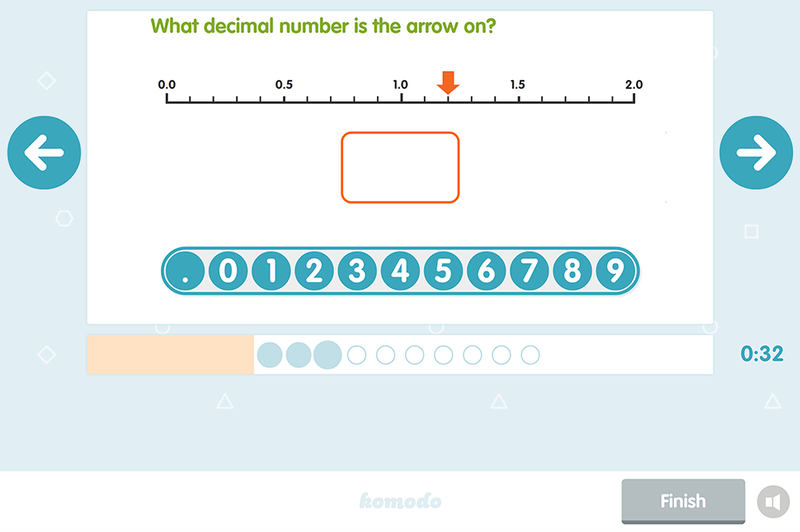 Komodo is aligned with the National Curriculum and designed to complement school maths. Gaps in learning cause problems later on. So it&apos;s important to ensure children have a solid foundation in the core maths skills. 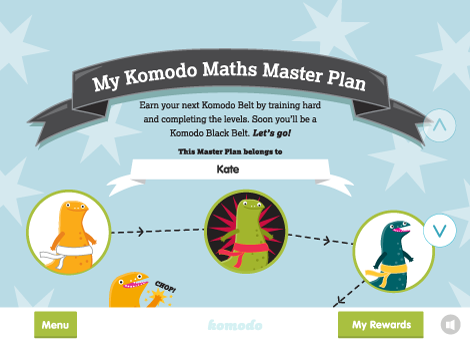 My daughter has been using Komodo Maths for the last nine months and loves it. It is very good for her quick recall of times tables, which they have been working on in school. Komodo has made learning maths a lot easier in our house." When we looked at ways to improve our children&apos;s success in maths we knew that we could make something better, not only for our families, but for families all over the world. Their encouragement and involvement makes all the difference. The learning programme is tailored for maximum benefit. It&apos;s not a game, but kids need to like using it. Enjoyable and easy to use across culture, gender and age. Learning happens over months not minutes, so staying motivated is key. This is the best educational investment I have made. My three children, who are of differing abilities, are flying in maths. It gives them a solid foundation from which to fly." We are honest and we care about our subscribers. We’ll help you get the best from Komodo. We make it easy to cancel. Just log into the parent dashboard anytime and cancel. Your payment card will be stored securely by Stripe.com, a leading secure payment provider. We’ll be there when you need help. Just get in touch. Learning plans tailored to the individual needs of each child by a UK qualified maths teacher. Designed for short regular use. 10-15 minutes, 3 to 5 times per week. It&apos;s not a game, but kids enjoy using it. We’ll always be there to ensure Komodo works for you. Self-paced, targeted practice that complements what your kids learn in school. Across age, gender and culture. No clutter, no competition scoreboards. Your encouragement and involvement makes the all difference. We’ve made this easy. Your subscription will help house and educate children who have endured some of the worst poverty and exploitation. We’re proud to support our charity partner Manyhopes.org who provide a loving home and education for street children in Kenya. Komodo subscribers have helped build Mudzini school (left) and future subscribers will help run it.